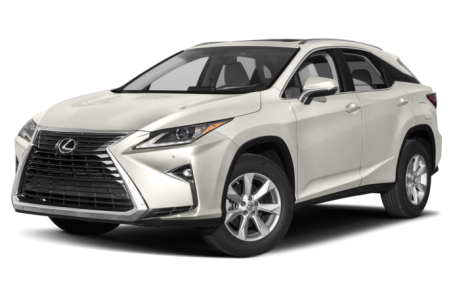 The 2018 Lexus RX 350 is a midsize luxury crossover that seats five passengers. Under the hood, the RX 350 is powered by a standard 295-hp, 3.5-liter V-6 engine mated to an 8-speed automatic transmission and front-wheel drive (FWD). All-wheel drive is also available. Fuel efficiency for FWD models is an EPA-estimated 20/27 mpg city/highway. It slightly lowers to a 19/26 mpg rating for AWD models.